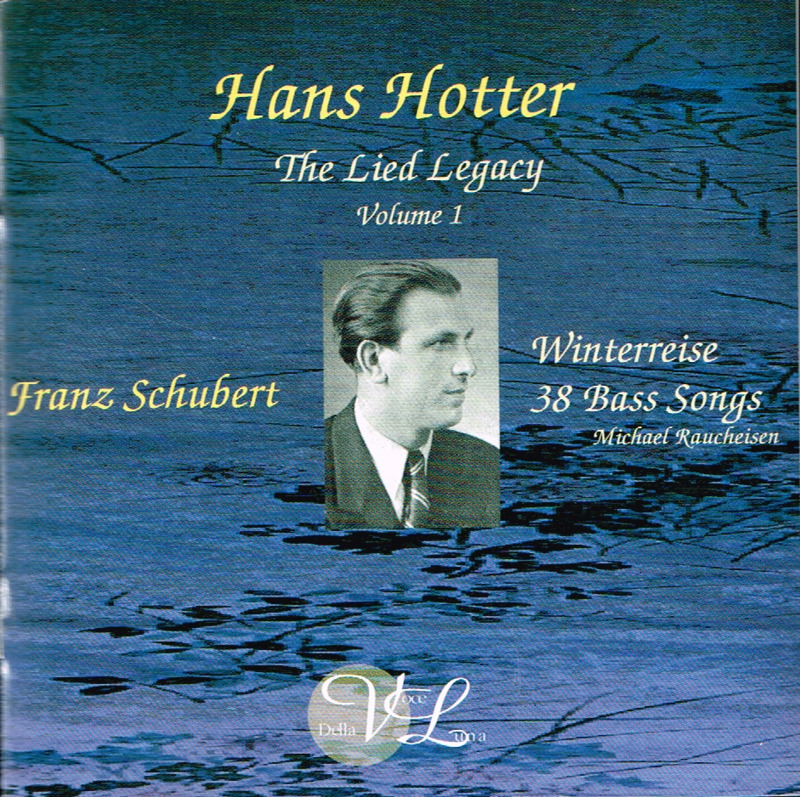 "Hotter was far, far more than a Wagnerian....[he] sang Lieder at recitals and in the studio throughout his timeless career. All his interpretations evinced a care over matching text to music. Even in Wagner he gave a Lieder singer's attention to the words. 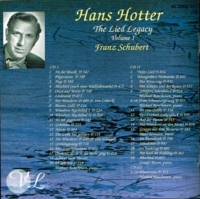 In private he was a gentle giant, an engaging raconteur and an intelligent observer of the musical scene"
"Of all the singers of the 20th century, the man whose voice and presence were most capable of conveying the essence of the archetypal father was bass-baritone Hans Hotter. Blessed with a huge, resonant instrument that could be scaled down to an intimate whisper, the man could sound invincible one minute and vulnerable the next. No matter what he sang, Hotter communicated a profundity and depth of spirit that seemed rooted in a primordial place of holiness and sagacity. If you can imagine a man whose voice could convincingly express the power of a God, the wisdom of a sage, and the humanity of an open-hearted mortal, you can begin to hear the sound of Hans Hotter in your head. In the world of opera, Richard Wagner's Wotan, the God of Valhalla, is perhaps the greatest Daddy of them all. In DIE WALKÜRE, he has no choice but to punish his favorite daughter Brünnhilde for her sin of intervening in the affairs of mortals. But even as he puts his beloved daughter to sleep, protecting her with a ring of fire, he makes sure that love can dowse the flames and return her to life. 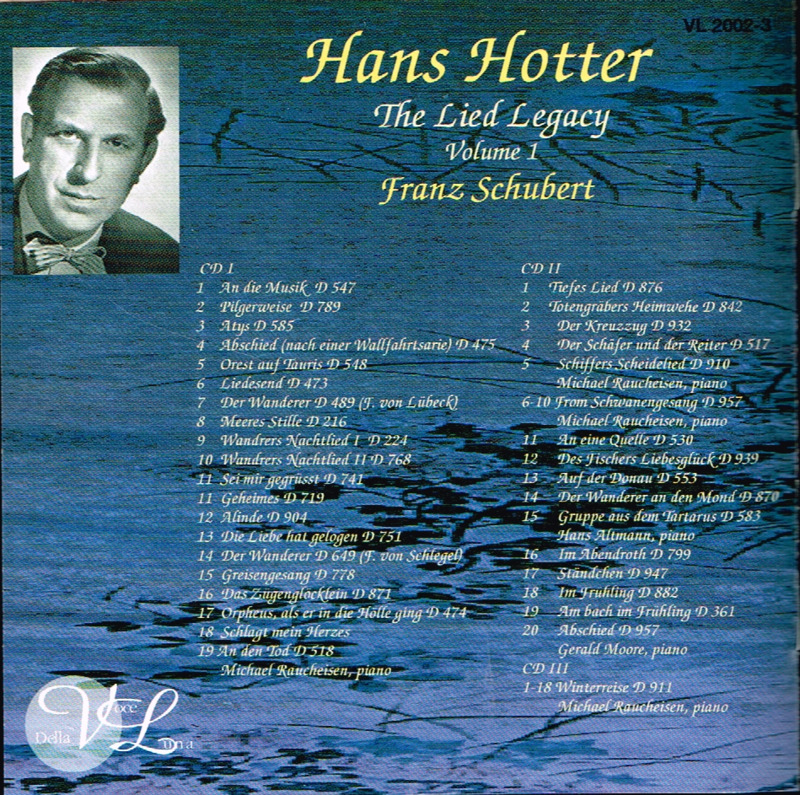 It was the Wotan of Hans Hotter, more than of any other recorded singer, that most fully expressed the tortured godliness of this strangely mortal immortal. At the same time as Hotter dominated the opera stage as Wotan, he became known as a supreme interpreter of German art song. With his voice pared down as necessary, Hotter's lieder interpretations evinced the same strength and surety that thundered through him when he strode across the stage carrying sword and shield."